Posted on July 14, 2016 | Comments Off on Got Belly Bloat? We’ve all been there, some of us more frequently than others. Many have experienced that uncomfortable feeling of fullness, where all one can do is crawl to the couch and wait for the feeling to pass. Bloating is a very common complaint among both adults and children, as up to 30% of Americans report experiencing bloating regularly. For some, it may simply be a case of indigestion brought on by overindulgence in food or drink. For others, underlying medical conditions may be the root cause of belly bloat. However, there are many common causes for belly distension and that overstuffed, somewhat painful bloated feeling. Often times, though uncomfortable and slightly embarrassing, bloating is caused by gas in the digestive tract. This can be the result of too much swallowed air, sometimes brought on by eating too quickly. It can also be the result of the normal breakdown of certain foods in the large intestine. Normally, symptoms will resolve themselves within a few hours. 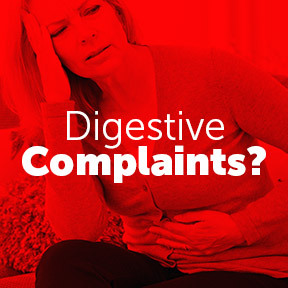 Of course, there are certain health conditions that result in symptoms of gastric distress, including food allergies, hormonal imbalances, inflammation, and gastrointestinal and autoimmune disorders. However, excessive gas may often be the result of inadequate protein digestion, or the inability to break down sugars and carbs that require certain enzymes to be fully digested, or dysbiosis, an imbalance of beneficial vs. deleterious gut bacteria. If along with bloating you experience unexplained weight loss, severe abdominal pain, or fever, it’s best to seek a medical consultation. Digest Gold™ with ATPro by Enzymedica – This potent broad spectrum digestive enzyme formula assists in the digestion of proteins, fats, carbohydrates and fiber. 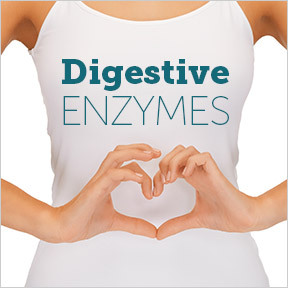 These enzymes decrease the amount of energy the body uses for digestion, reducing stress on the digestive system and freeing up energy for other systems including the immune, cardiovascular, endocrine and nervous system. Gluten, soy and dairy free, Non-GMO vegetarian formulation. Digestive Enzymes Ultra w/HCI by Pure Encapsulations – This combination formula provides vegetarian digestive enzymes along with betaine HCI for optimal digestive support and the normal breakdown of proteins, peptides, fats and polysaccharides. Gluten free, Non-GMO formulation. UltraFlora® Balance by Metagenics – This very popular nutraceutical formula provides pure and highly viable probiotic strains for multiple levels of intestinal support and healthy digestive function. Gluten, soy and dairy free formulation. Dr. Ohhira’s Probiotics Professional Formula by Dr. Ohhira’s Essential Formulas – This truly unique professional formula provides 12 synergistic strains of probiotics to promote and improve the gut environment and support healthy immune and inflammatory responses. Room temperature shelf stability makes this formula a perfect travel companion. Gluten and dairy free, Non-GMO vegan formula. Comments Off on Got Belly Bloat?